The 20,000 square feet of Holland Funeral Directors has been designed to make you and your family feel welcomed and as comfortable as possible. Our spacious lobby and four staterooms are tastefully decorated with sofas and chairs in which you can take a deep breath and relax for a quiet conversation with family, a good laugh reminiscing with old friends, or private personal reflection. A gas fireplace adds coziness and warmth on cold winter days. 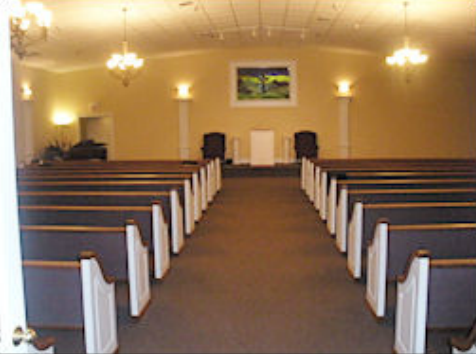 Our main chapel seats up to 300, and the lobby and visitation rooms are wired for sound so you can listen to music meaningful to your family, or hear the service if you or your child needs a break. 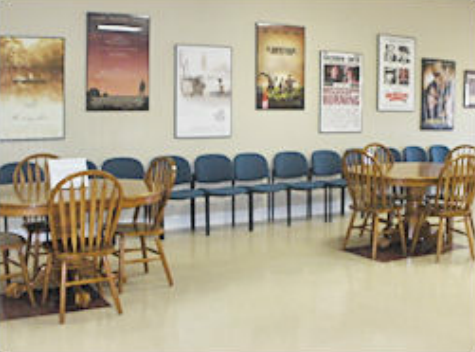 Holland Funeral Directors has a children’s room, supplied with books, toys, and a DVD player to keep the little ones entertained and safe while your family is visiting. Would you like to share a meal with family and friends before or after your service? Our kitchen/dining room has facilities for warming food or keeping it cold, setting up a buffet, seating for sixty people, ice maker, cold drink machine, and plenty of hot coffee.